A view of the orginal Angelton Asylum Cemetery. Following my posts about Dr Robert Sloss Stewart, Eleanor Davidson and Francis Hill, I have continued my research into the lives of the other seven gravestones that remain in the original Angelton Asylum Cemetery. Due to the amount of information, I have decided to share my research via a series of posts. 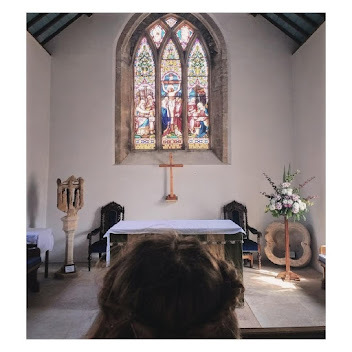 In this post, I will be writing about Thomas 'King' Rees. 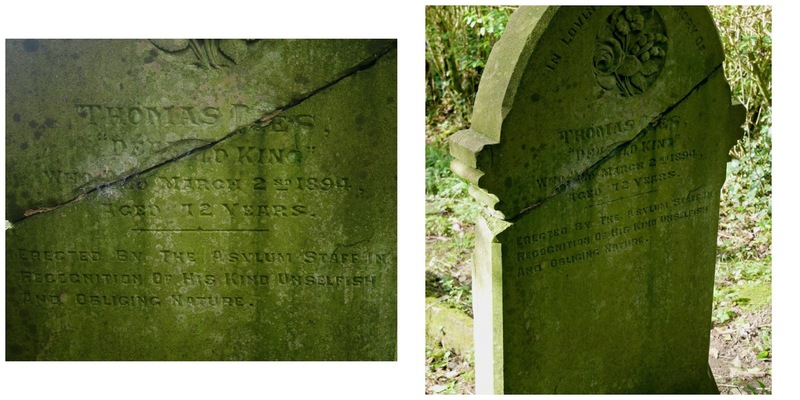 Out of the hundreds of men, women and children buried in the original Angelton Asylum Cemetery Thomas 'King' Rees is the only patient who has a gravestone. He is buried in the location where the staff of the asylum and their relatives are buried. It is clear that Thomas was a highly respected patient as his gravestone was paid for by the staff of Angelton Asylum. "Erected by the Asylum Staff in Recognition of his kind unselfish and obliging nature." The gravestone of Thomas Rees. Although not much is known about his early life, I have found that his case file gives us a detailed insight into his personality and life during his time in the asylum system. Other information has been drawn from census records and burial records. The first record of Thomas can be found on the 1841 Census. The 1841 Census tells us that Thomas was 20 years old and was a servant at Ynyscedwyn House in Ystradgynlais. Thomas Rees was admitted to Vernon House Asylum as a pauper lunatic on the 13th of March 1846. He was sent there on the authority of the local relieving officer David Morgan and he was certified by surgeon William Ferry. At the time of his admission to Vernon House, he was a 25-year-old servant and his bodily condition is described as 'satisfactory.' The reason for admission is noted as 'Monomania'. The Vernon House admission record for Thomas Rees. Monomania: Exaggerated or obsessive enthusiasm for or preoccupation with one thing. The term was first used around 1810 by French psychiatrist Jean-Étienne Dominique Esquirol (1772–1840). According to his admission record, it was his first attack and Thomas had been suffering from 'Monomania' for approximately 18 weeks before being admitted to Vernon House. Thomas assisted in the kitchens and was described as being “cheerful and obliging.” After 19 years and being declared as 'not improved', Thomas was transferred to Angelton Asylum on the 13th of September 1865. 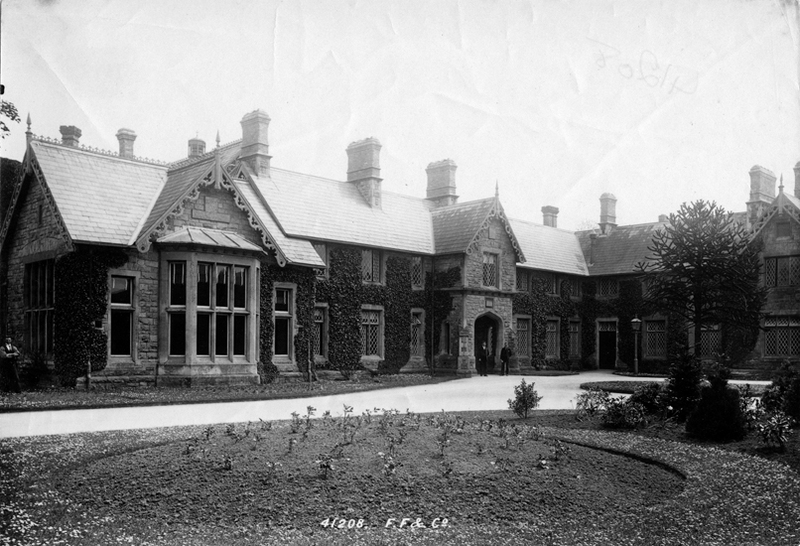 The Angelton Asylum Case Files of Thomas Rees. 15th of September 1865: Seems to like the change although he left Briton Ferry (Vernon House) very reluctantly. Has begun at once to make himself useful with the Porter in the Dining Hall. 12th October 1865: Has settled very well, acts as Porters Assistant and is a most useful man. Conduct in all respects correct and noble. Seldom expresses his delusion although always called Thomas “King” and likes the title. 14th December 1866: Has been lately somewhat foolish – having demanded that one of the attendants be given to him, as he says "she is his wife." 10th June 1869: Has been troubled much of late with pains in several of his joints – seemingly rheumatic in their nature. 4th October 1869: Much the same – Joints better – acts as groom to the Medical Superintendent and is extremely proud of his post. Extract from the Case File of Thomas Rees. 12th March 1871: The same – very useful but full of delusions. 10th June 1872: Much the same - full of delusions as to his own importance. 10th September 1873: Unchanged full of delusions as to his power and abilities – quiet and useful. 12th March 1874: Quiet, useful, demented. Has many delusions e.g that he is King of Swansea. That is wife is concealed in his hand. He talks eagerly up to his own window to someone he believes to be there, whenever he thinks he is not observed. Is very useful and trustworthy as a groom to the Medical Superintendent. 3rd September 1877: Demented, happy, useful. A demented, happy, and useful man. Continues in full charge of Superintendent's carriage and horses. Is very trustworthy and careful. Behaviour good. - Ward 1. 3rd September 1878: Mentally unchanged. Has lately been suffering from lumbago but is now nearly well again. 11th December 1881: Still in charge of Superintendents Stable. 9th September 1883: No change. Was laid up a few days with slight diarrhoea but is out and about again as normal now. 25th April 1884: If anything rather more demented of late. Still looks after the Superintendents Stable and is full of delusions. He says "the 40 years are nearly expired and he must leave, the place be shut up and everyone go." 11th December 1884: Still full of delusions, but usefully employed and in good health. 16th November 1885: He becomes if anything a trifle sillier. 23rd August 1886: Since last note, he has refused to act as coachman to the Superintendent and he now attends to the dining hall. Mentally much the same. 24th May 1887: Much the same. Height: 5ft 3/12 | Weight: 10st. 20th July 1887: A contented civil and useful man, with exalted delusions. 26th November 1889: Mind much the same. About a month ago, patients appetite and strength failed a little though the patient himself would not admit that he was otherwise than in the best of health. He has a glass of port wine daily and has improved much. Usefully employed as before. The entrance to Glamorgan County Asylum, 1898. 27th November 1890: Much the same. Is again having Port daily. Usefully employed in the dining hall and at the front door. 24 February 1891: Much the same. During the severe cold weather, he was looking thin and worn, since the weather became mild he has improved much. Exalted delusions, says "he is a King." April 1891: He is demented and good natured and has many exalted delusions, says "he is a King"
6th April 1892: He is demented, talks incoherently and has exalted delusions. Memory impaired. 25th April 1893: A gentile contented old man with various delusions. He fails somewhat in behaviour and insight. 24th October 1893: Mentally there is no material change. Sight is failing from advancing cataracts. 11th January 1894: He continues bright, civil and industrious and is fair (in) behaviour. Sight slowly failing. Thomas died at 8:10pm on the 2nd of March 1894. 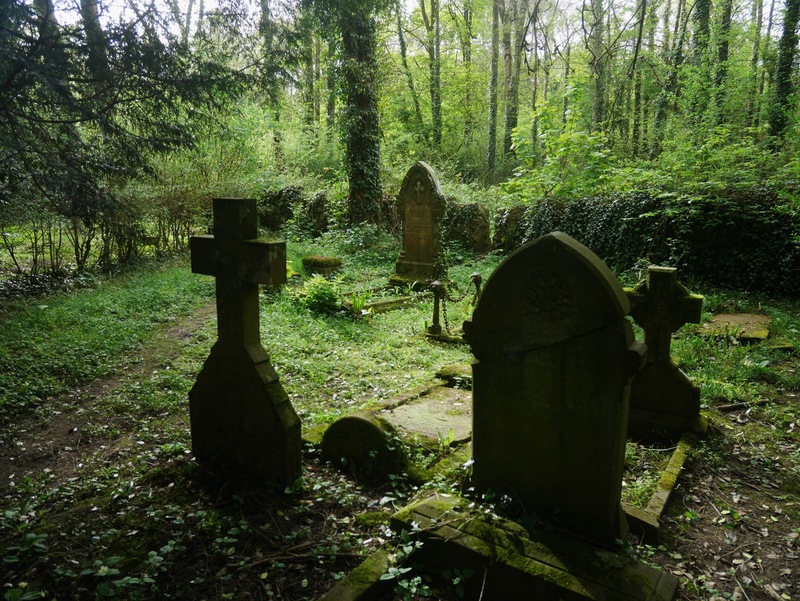 He was 72 years old and his cause of death was given as 'Senile Decay.' The extract from his case file below gives a detailed account of the day Thomas passed away. He was seized with a sharp attack of Influenza on January 15th. There was great prostration with dryness of the respiratory tract and a weak heart. Troubled with a short cough. The pulse improved a little for a few days but his strength fluctuated much and he became gradually anaemic. About the 3rd of February, the left leg became much swollen and oedematous, the swelling extended into the groin. The foot also was involved, he complained much of pain in the calf of (the) leg. On the 6th he requested that his medicine be made more bitter. ; the Nux Vomica was increased to m20. By the 13th the swelling of the left leg had greatly subsided but the right leg now began to swell up like the left. This swelling has persisted. As he continued weak and was losing ground the above tonic was on the 22nd discontinued and Eastous Syrup given. This on the 26th was replaced by Quin Disulphide. On the 28th the left lower lobe was dull. RM Tubular. Mucus tales in both lungs. Skin dry and scaly. Latherly appetite failed … at milk diet. Tongue became dry and glazed. For several days he suffered from relapsed bowels. His daily allowance of Port was increased. His strength steadily failed. afternoon refused the consolation of religion. Report to the Coroner regarding the death of Thomas Rees. Please let me know if you find anything about George Stephenson (Admitted Sept 12, 1902 and died Oct 27, 1902. UK, Lunacy Patients Admission Registers, 1846-1912). He is the husband of my 4th great-aunt and I was curious when I found this information. Thanks very much!